The top frame is advertised as <!-- m --><a class="postlink" href="http://www.ebay.co.uk/itm/Outdoor-3-Replaceable-Lens-Cycling-Bicycle-Bike-Sport-UV400-Sun-Glasses-Goggle-/170920081971?pt=UK_SportingGoods_SportsSunglasses_SM&var=&hash=item27cba17a33">http://www.ebay.co.uk/itm/Outdoor-3-Rep ... 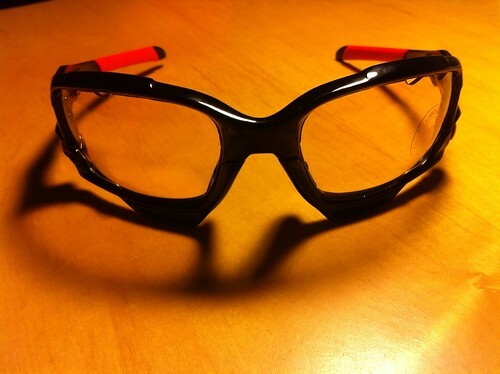 27cba17a33</a><!-- m --> 'Outdoor 3 Replaceable Lens cycling Glasses' coming straight outa' Hong Kong. 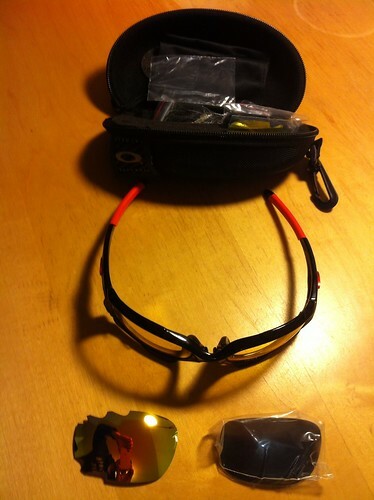 The second pair is a legit Oakley Jawbone retailing somewhere in excess of Ã‚Â£100, you don't need the link for these. Seeing that they were very similar to one another, my David 'Bargain Hunt' Dickinson gene kicked in and I Paypal'ed just over a tenner to Hong Kong, reasoning that if they were rubbish then at the worst I was only Ã‚Â£10 down. Then begain the waiting... Coming from HK meant that they would take a looooong time to arrive, it was about three weeks before they got here. They arrived this morning and look like this. 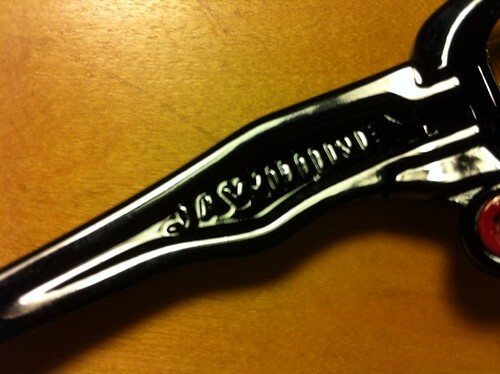 Just like an Oakley Jawbone frame in fact. Even down to the 'Livestrong' logo on the silicon rubber tips and the 'Jawbone' logo on the side. <--- Yes, that says Jawbone, though my camera phone is rubbish. They even came with the promised '3 lenses' as well as an Oakley branded case and spare nosepads. This is where they let themselves down a bit, the moulding on the silicon pads is a bit dodgy and the case, though it seems the same as an Oakley one, looks like a factory second, the logo is a bit wonky and you can see the glue in one spot. I'm left wondering whether these are partially legit Oakleys, though the print on the side and the font for 'Livestrong' all look good, the finish on the silicon pads is rough and way below Oakley's standards. Were they made on the same production line and assembled from factory seconds? Each element of the frame is compromised in some minor way, the colour is not constant on the 'Jaw' hinge but the action is fine, the end tips have a very slight indentation as though they were not quite moulded correctly, though you'd have to be looking very carefully to spot this, the nose pads don't lock the lens quite as firmly as a true Jawbone, though they lock effectively. In conclusion, and based purely on a sample of one purchase, I'm a very happy camper. I've a pair of specs that give adequate protection, offer both light and dark lenses and make me look like Ali G. I'd still be happy if I'd have spent twice as much for the same product and am pleased to see that they are not being marketed as Oakley. Delivery time was a bit of a pain, but no problem. My sample was a bit wonky, for some people this would be a problem but as I am blessed with wonky ears then it suits me just fine. Judicious use of a hairdryer might be enough to sort this out anyway (not my ears, the frames) I've not taken a pic of it, but the side carries the Oakley logo, look carefully at the top pic and you can see a fuzzy area where the logo has been photoshopped out! Interesting. I'd be a bit concerned about the UV protection these (or any slightly suspicious sunnies) offered though. Do they carry a kitemark (or similar) and does it look genuine? i also have a pair, let me know how the UV stands up??? I have a pair and have used them 4 times now. Once on a night ride. They are bloody superb. Sketchy is weeks behind STW as they have done these to death. Somebody tested the UV and it was pretty much the same as the real lenses. The iridium lenses scratch really easily too. the uv protection will be 100% due to the polycarb lens, the same material as motorcycle visors and riot shields. You'll not get a tan in a riot.